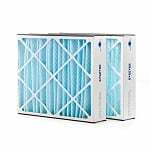 The Filters Fast FFC20255HONM13 is a compatible of the Honeywell FC100A1037 media air filter with a MERV 13 energy efficiency rating. The Honeywell FC100A1037 compatible Filter captures up to 98% of airborne pollutants as small as 1.0 microns. This Honeywell 20x25x5 comp filter is a 5 inch deep pleated replacement that has exceptional sustained efficiency, high dust holding capacity and very low pressure drop. 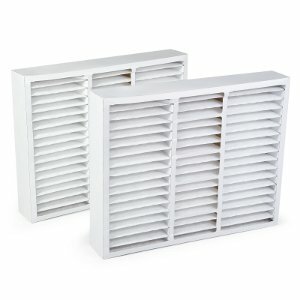 This Honeywell 20x25x5 Filter is part of the Honeywell FC100A Series Residential Air Cleaner Replacement Filters. It has a media pack that is totally bonded to the frame and made of fine carbon powder bonded to lofted polyester media to ban odor. 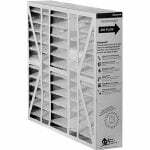 This filter has a support grid constructed of 30 gauge galvanized expanded metal grid and a moisture resistant 28 point beverage board. 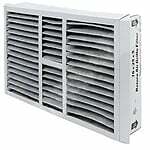 This Honeywell FC100A1037 compatible media filter is resistant to a wide range of chemicals and will not support microbial growth. For maximum performance, replace your Honeywell FC100A1037 air filter every 6 to 12 months depending on usage and air quality.